What makes a life truly rich? A beautiful home for your family. Top schools. Easy access to public transportation. Great shopping and dining. Unparalleled proximity to active living and nature amenities. 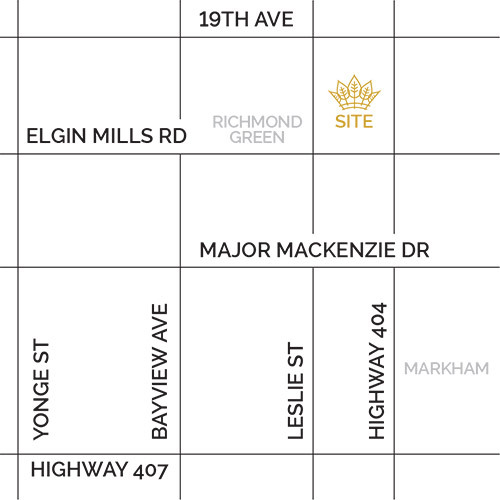 In Richmond Hill, adjacent to the Richmond Green Sports Park, Richlands is a new family community of 43’ and 36’ detached homes, 28’ semi-detached homes and freehold townhomes that let you enjoy the true essence of richness in your life. This is a community surrounded by protected greenbelt, with a community park and school at its centre. A place where most homes are situated on quiet crescents and cul-de- sacs, so you can enjoy the true richness of peaceful neighbourhood living. Plus, with great shopping, schools, GO, York and VIVA Transit, Hwy. 404 and more nearby, you can enjoy a wealth of convenient GTA living at this one-of- a-kind location. Register now for your priority purchasing opportunity. The Sales Centre is under construction, so stay tuned for information about the Preview Opening.